The oldest parts of the cathedral are its crypt and the west portal, also called the Royal Portal. Both are remnants of a Romanesque church that was mostly destroyed by the fire in 1194. The present cathedral was constructed on the foundations of that earlier church and consecrated in 1260. 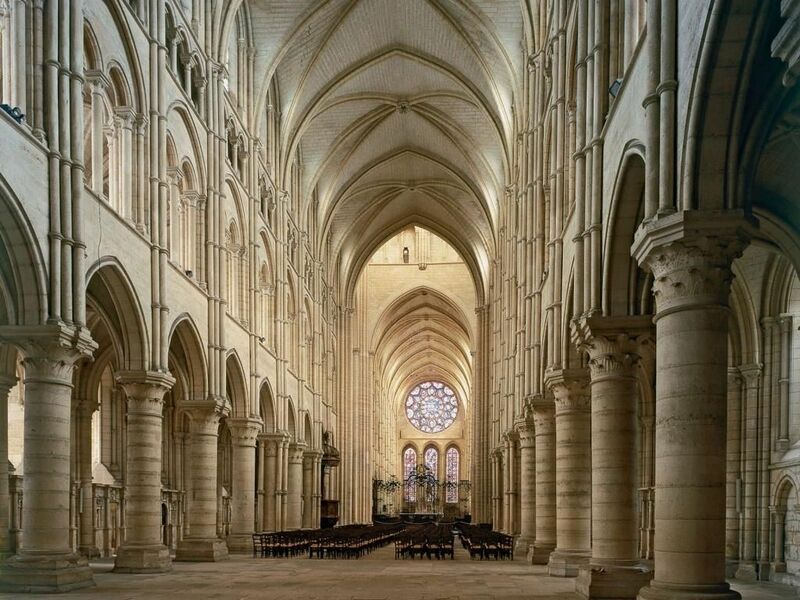 In many ways, Chartres cathedral’s design resembles those of contemporary Gothic churches, especially Laon Cathedral, but it also displays significant innovations with its tall arches, narrow triforium, and huge clerestory. The flying buttresses enabled the builders to eliminate the tribune above the aisle. By the beginning of the 13th century, the influence of the Gothic style on stained glass windows was increasing. The stained-glass windows transmit light through the glass rather than reflect it, so it transforms the natural life into a beautiful kaleidescope. Chartres nave is so dark because of the colored glass in the windows instead of clear glass. This would block some of the sun from entering the church giving the dark feel inside the church. On September 5, 1194, a fire broke out in the church of Chartres. However, 152 out of the original 176 stained glass windows survived this fire. The best Chartres window that survived the fire was called the Notre Dame de la Belle Verriere, also called Our Lady of the Beautiful Window. The central section with a red background depicts the Virgin Mary enthroned with baby Jesus in her lap. This glass window is over 12 feet high and full of color and intricate details. “Chartres Cathedral Sculpture.” Chartres Cathedral. Accessed on March 4, 2017. http://chartrescathedral.net/chartres-cathedral-transepts/. Kleiner, Fred. Gardner’s Art Through the Ages. Boston: Cengage Learning, 2014. “Chartres Cathedral.” Encyclopedia Britannica. Accessed on March 5, 2017. https://www.britannica.com/topic/Chartres-Cathedral. 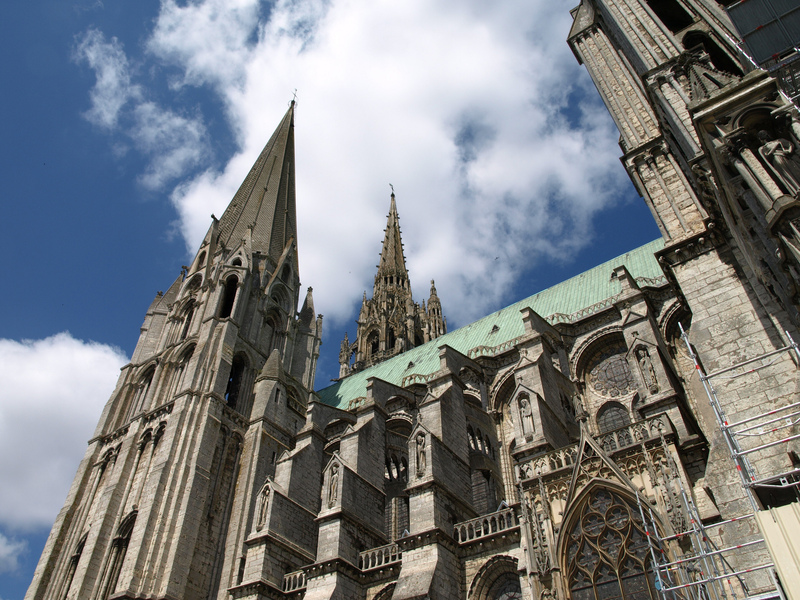 “Chartres Cathedral.” Sacred Destinations. Accessed on March 8, 2017. http://www.sacred-destinations.com/france/chartres-cathedral.